Are you looking for hands-on food allergy education that will directly apply to your practice? 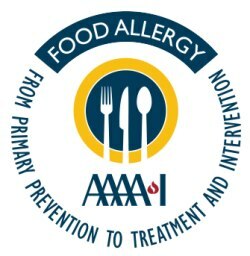 Food Allergy: From Primary Prevention to Treatment and Intervention is a new three day course that will dive deeply into the topic of food allergy. Earn CME or CE credit while engaging with food allergy experts, who will be covering a wide range of topics in food allergy. This smaller course will give you an opportunity to really connect with and learn from top food allergy faculty. Space is limited and breakthrough sessions will fill up fast, so get your spot before time runs out! Click here for more information. Do you have pages you use often on the AAAAI website but do not want to click through each time to access them? Now, when you are logged in, the My Membership homepage features a bookmark section that will allow you to easily access your most used pages. Click here for instructions. Add the American Board of Allergy and Immunology (ABAI) website to your "My Favorites" section of the My Membership page. Find information about AAAAI interest sections, committees, assemblies and joint task forces. Get details about the Board of Directors, Bylaws, Organizational Structure, Strategic Plan and AAAAI Spokesperson Procedures. Complete forms for website content requests, membership survey requests and statement development intent. You now have access to the reliable, evidence-based information and recommendations available through Natural Medicines. Click here to access the database. Join your colleagues in conversation. Many public education materials are now available for scanning into your EHR. You can make a difference in the future of the specialty. Donate today!